The 13 “Wild Boars” rescued from a flooded cave in Chiang Rai province were in general “good health” said doctors. 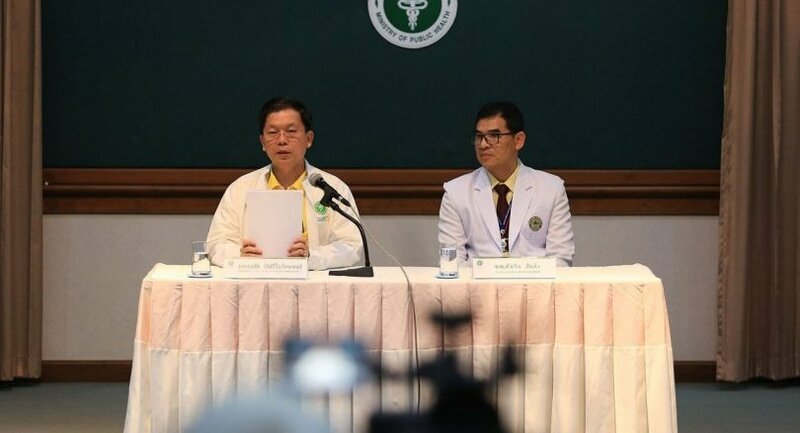 There was no need for doctors to prescribe sedatives to aid their sleep as they seemed to be of “very good mental health” despite the ordeal, said Public Health Ministry inspector-general Dr Thongchai Lertwilairattapong. At a press conference on Wednesday morning, he attributed their good mental health to having remained together as a team under the good oversight of their assistant coach. The first four young footballers to exit the cave, aged 14-16, are also now able to eat normal foods and were free from leptospirosis. They would be released from Chiang Rai Prachanukroh Hospital on July 15 to recuperate at home for another week, Thongchai said. Two of this batch of footballers had initially shown signs of pneumonia, but had responded well to the medication they were given for it, he said. The family members of these four first kids were allowed to visit them with the condition that they wear protective medical gowns, a face mask, hat and boots and maintain a two-metre distance. The second batch of four footballers to exit, aged 12-14, were also found to be in good physical health and free from leptospirosis. One initially had hypothermia and arrhythmia (an irregular heartbeat) presumably caused by the cave’s cold temperature, but had recovered. The four kids were placed on a special diet of easily digested soft food with a mild taste, he said. It was expected that doctors would later on Wednesday allow their relatives to visit them following the same disease control measures as the parents of the first batch. The five footballers, aged 11-25, who were brought out on Tuesday, had no hypothermia issue although one of them had signs of pneumonia, he said. The second and third batches would remain in the hospital for a week for physical recovery and for medical observation in case of any emerging infections, he added. After their release they would need to recuperate at home for at least another seven days. Rescuers, volunteers and media members who were at the Tham Luang cave during the rescue operation would also each receive a “medical watch for ailment” card within two weeks, which they could bring to a doctor to get a check-up.